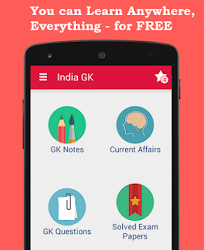 5, 6 March 2017 Current Affairs MCQs, Quiz, Questions: Current Affairs for March 2017, Daily Multiple Choice Questions (MCQs) for India GK, World GK and current affairs with Collection of daily objective type Question by www.Indiagk.net based on General Knowledge (GK) and General Science (GS) Questions for UPSC, State PSC, SSC, Police exam, Railway exam, SBI, Bank PO, IBPC, SSC, LDC, UDC, Army, Airforce, Navy, Coast Guard, Bank Clerk, TET and all entrance examination with current affairs News, Multiple Choice Questions (MCQs) available on Website www.IndiaGK.net and Android Apps with daily updates:. Who inaugurated ‘Destination North East-2017’ on 6th March 2017? The first ‘Indian Grand Prix of the Seas’ was held during March 2017 at which Place? Which city in south India has achieved 100% waste segregation? Which Indian aircraft carrier decommissioned recently after Serving Navy for nearly 30 years? Who will perform Bharatnatyam dance at UN on 8th March 2017?